Daniel Nguyen is the first Vietnamese American to play in the United States Open of tennis. He graduated from Santa Barbara High School and graduated from the University of Southern California, (USC). He has amounted to 4 NCAA Championships. Olga Govortsova is a professional Belarusian tennis player. Her highest WTA singles ranking was world number 35, which she reached on 23 June 2008. Michael Grant attends University of Southern California and is a Team Captain on the Tennis Team. He has amounted to 2 Team NCAA Championships. Mbonisi Ndimande is a tennis player from Zimbabwe who started playing tennis at age 5. He attended University of California Santa Barbara. 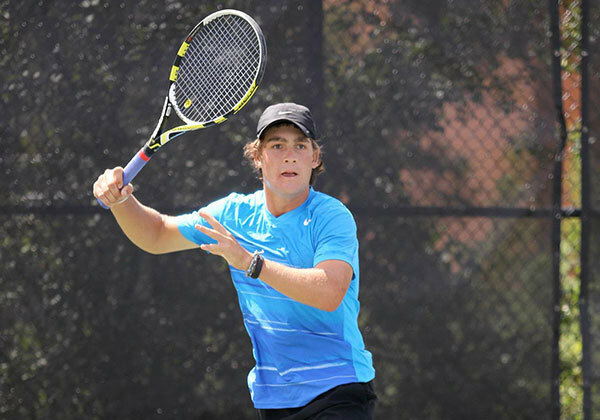 Thomas Shubert is a tennis player who attended Brigham Young University. His goals are to pursue life-long learning through global travel and communication while giving one's undivided dedication and energy to maximize results.